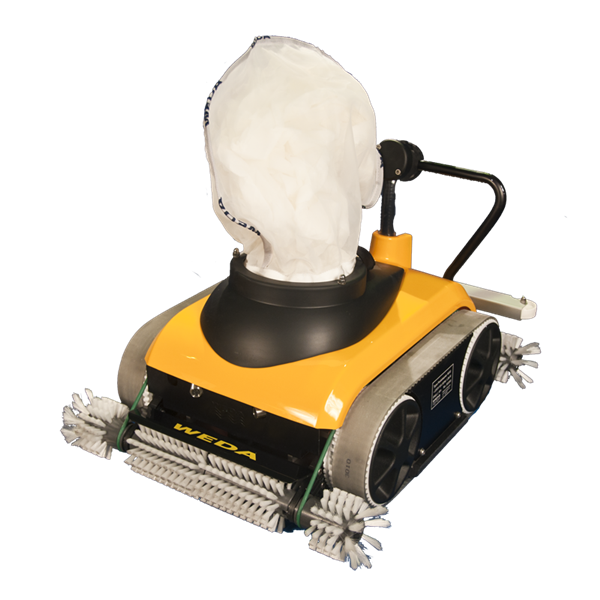 Weda W50 is a compact cleaner with a high cleaning capacity with rotating brushes and a pump that delivers 600 liters per minute. It can be equipped with a discharge hose outlet for removal of all sedimentation independent of size. Both versions can also be controlled with the radio remote for access to hard-to reach areas. The new laser sensor design allows for fully automatic cleaning with no moving parts for the control functions. 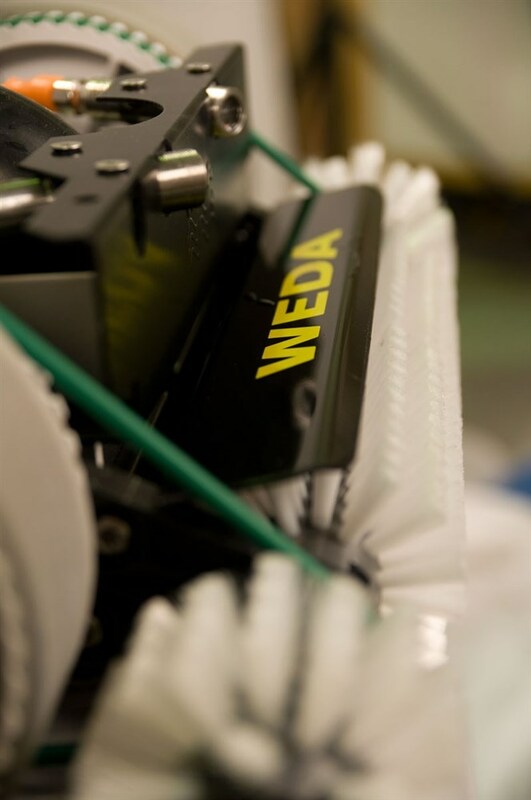 As with all Weda cleaners the W50 is based on an electrical submersible pump with a high resistant metal impeller to safeguard reliable cleaning that does not get interrupted by the larger particles frequently found in public pools.